Join Grin Theatre for a tale of political intrigue and personal tragedy, in what’s widely regarded as the first play in the English language to put overtly LGBT themes and characters centre-stage. 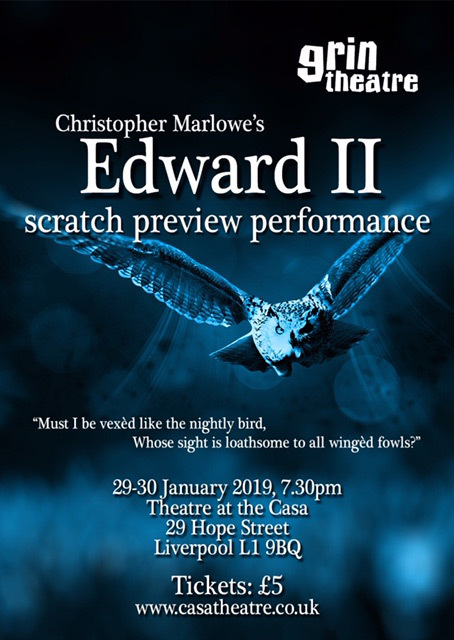 Expect minimal staging and some scripts in sight for this special scratch event – all the thrills, without the frills – as we trial our new adaptation of Marlowe’s classic for the first time, with a view to a full stage treatment at a later date. 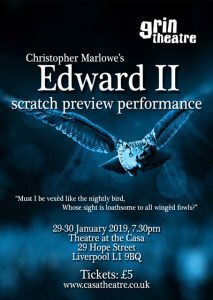 Tickets at the special price of £5: audience feedback appreciated!